Work continues on the firebox of Reading Company 2100. Here is your November 2018 video update. Work continues on the firebox of Reading Company 2100. Here is your October 2018 video update. Work continues on the firebox of Reading Company 2100. Watch the video to see the latest progress being made to get the boiler back in service for Reading 2100. Saturday, February 10th proved to be an interesting day with several benchmarks completed on the firebox side sheet replacement project. ASR members finalized several tasks including: removing some piping obstacles for stay bolt removal, grinding welds smooth on the stay bolt heads, all stay bolt caps have been removed in the defined area, all 450+ stay bolts have been removed from the side sheet areas, and all gaskets removed from the caps. Needle scaling of the exposed boiler interior is well under way and will easily be completed during the next work session. The next work session for members will be February 17. 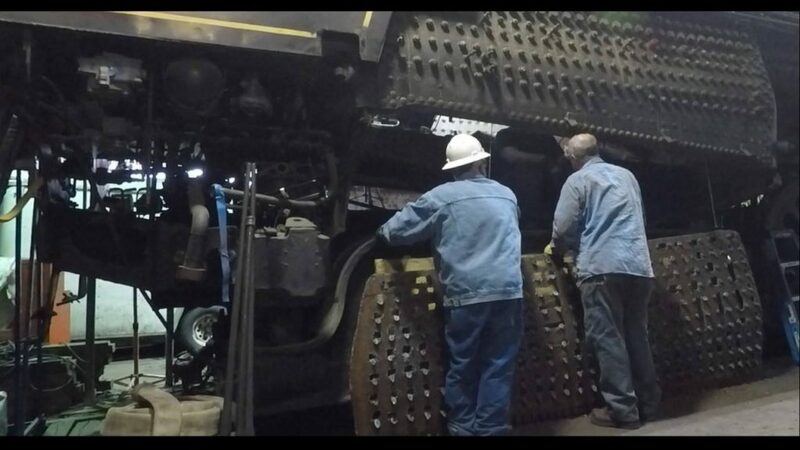 Complete – The draw-bar pin keeper for the locomotive needed some welding and that was completed. Partial – Inspection of the running gear has been started and will continue. Complete – The dynamo was put on the workbench, cleaned, and tested. Complete – The throttle valves have been machined and the lapping process has started. 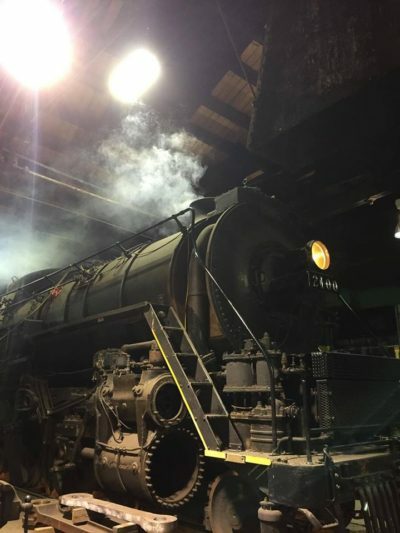 The stoker is now in storage at the roundhouse in Cleveland. Marked out the limits of removal for the thin side sheet sections. This will include half of each rear vertical corner which has a formed radius. Removal of flexible staybolt caps has been started but not yet 100% completed. Once removed, all staybolt caps will be sandblasted and the copper gaskets replaced. The upper side sheets of the ash pan hopper were removed by torch cutting the bolts that held the sheets in place and removing them. This is critical to providing a clear path for the old sheets to come out and the new sheets to be fed up into the firebox. The two outer rows of grates and rocker mechanism have been removed. The grate bearers along the mudring area of on both side sheets have been removed. Once the grate bearers were removed, we took additional spot UT readings in the area of the grates and found the sheets to be as thin, or thinner, than above the grates. As a result, side sheet replacement must go all the way to the bottom of each side sheet and will require all new mud-ring rivets (7/8”x10” buttonhead) be installed. 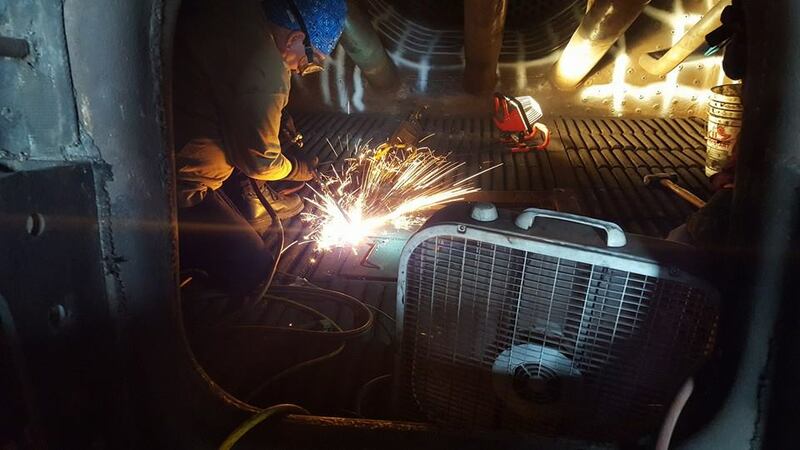 In September, our boiler contractor was able to spend portions of four days with Gordon Hartschuh, Forrest Nace and Greg Brown reviewing proper torch cutting and grinding procedures. The contractor began to torch cut staybolts on the fireman’s side. The method we are using will preserve each staybolt end, effectively cutting each one in half, so we have the exact layout and staybolt pattern intact and will use the old side sheet as a pattern to then layout the new holes in CAD. The mudring rivets on the fireman’s side have been torch cut out, and the process started on the engineer’s side. The two outer 3-1/2” diameter circulator tubes, one on each side of the firebox, were removed and set aside for use as patterns for new tubes. The tubes were an obstruction to removing the side sheets as they are within about 15” of each side sheet and we would not have enough room to peen over the ends of the new staybolts if they were left in place. New tubes will have to be purchased and formed for installation. We expect the total cost to replace these tubes, including all material, fabrication and welding to be $2,000.00. We are in the process of obtaining formal quotes for the tube material and bending at this time. These tubes will not be needed until all sidesheet welding and staybolt installation work is complete as they would be in the way otherwise due to their close proximity to the side sheets. Our contractor has performed two vertical cuts on the fireman’s side at the front and back of the firebox for removal of that section. To date, we have secured the purchase of the material for both raw sides secured worth approximately $1,600.00 through an exclusive donor. We also have secured the donation of the final cutting to size and bending of the side sheets to shape as well as the layout and drilling of the new staybolt holes by a reputable machine shop with very recent steam experience. This donation is valued at approximately $22,140.00. The total material costs for the remaining staybolts, caps and sleeves will reach $52,800.00. We will be replacing 85 staybolts, caps, and sleeves that are currently of sub-standard non-ASME and non-ASTM compliant material, or from a temporary “sleeve over sleeve” repair that is no longer permitted by the FRA. Thirty Five (35) other staybolts, plugs, and sleeves that were originally thought to be non-compliant are actually a compliant repair that was done using upgraded practices, and will not need to be changed unless the hydro test and/or FRA inspector determines otherwise. 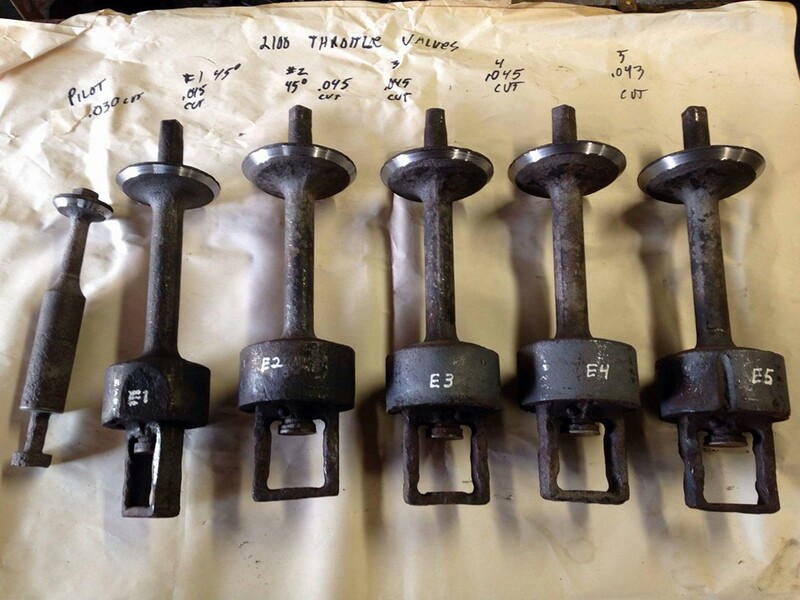 We have ordered the needed mudring rivets from Diversifed Rail Services to add our mudring rivets to an order they are putting together for the rivets needed for the boiler work on ex-FEC 4-6-2 No.148 in Florida. The first phase of Reading 2100’s restoration is complete, but we’ve still got work to do. Here’s an update on restoring The Rambler.